Keep Broccoli refrigerate. It keeps for about four days. 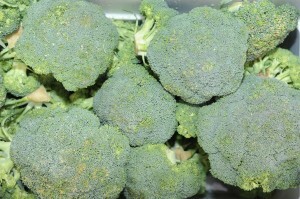 Choose Broccoli that has tight beads, firm and has fresh, green cut ends. Avoid Broccoli that has a strong odor, or limp. Broccoli is low calories, high fiber, lots of nutrients. High in Vitamin C and Calcium. Store in perforated plastic bag in the fridge for about four days. Rinse in cold water before preparation.